There are very few individuals who are blessed with God-gifted talent and Aahil Kachru appears to be one of them, given the heights to which he has soared at the mere age of nine. Aqib Javed, Sachin Tendulkar and Mushfiqur Rahim all made their International debut at 16 years of age and went on to leave an indelible mark on world cricket. Obviously, not with as many feathers in his cap yet but Aahil Kachru is certainly destined for glory. Aahil’s father, Sameer Kachru, who believes that his son can play competitive cricket one day, says that the boy took a liking to cricket at a very young age. "Aahil’s passion in the game was quite evident at the age of 2 itself. His hand-eye coordination was there from day one. Funny enough that he could pick line, length and trajectory with bounce reasonably well from the first time a plastic ball was thrown at him." "He started playing in his room, then in the drive way, the park, formal nets and then matches. He’s been playing organised cricket since he turned 7 years. He has saved each of his bats including the first bat he ever played with." With some resemblance to Nasir Hussain, Aahil is an all-rounder who bowls leg spin and is a prolific fielder. Plying his trade in the Under 12/13 & 14 circuit in India's Delhi-NCR, the list of his accomplishments is already quite long and growing by the day. Aged nine, not only was Aahil selected to play for DLCL Under 14 (Ministry of HRD & Sports), but was also made Captain of the Delhi team. He then qualified to play for the Semi Finals which made him one of the top 40 cricketers across eight northern states of India. On the back of his performance, he was then named Captain of the UP junior state team, which is quite remarkable for a boy at such a young age. 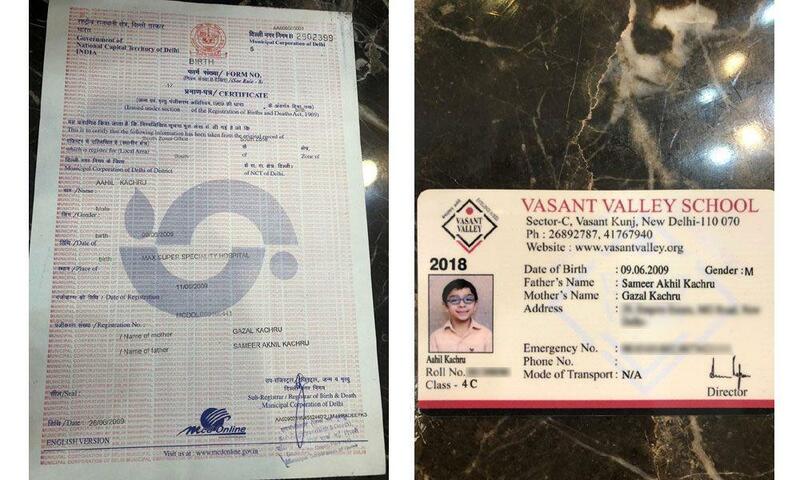 In April 2018, he became the youngest centurion at the school level, representing Delhi's Vasant Valley School. Aahil has played a phenomenal amount of matches already. Reportedly, he has played over 250 matches in the last three years with very impressive returns. His father, who keeps minute count of his achievements, says that the nine-year-old has already won over 40 Man Of the Match awards, playing for various academies and school. Even at such a young age, Aahil passion and dedication for the game is impressive. More importantly, he is self-motivated and wants to be on the field almost all the time. "Aahil's regular week day includes schooling and then straight to the ground where he bats, bowls and then fields for 3 hours daily. That’s just his routine. This is 5 days a week with no change in it for the past 5 years. The weekends are now reserved for 2 to 3 matches. If the matches are washed out or finish early, he hits the nets to improve with his coach. He is absolutely never home. It's a choice that he has made." "Aahil has had some amazing and relentless hard work being put in from his coach and his academy. 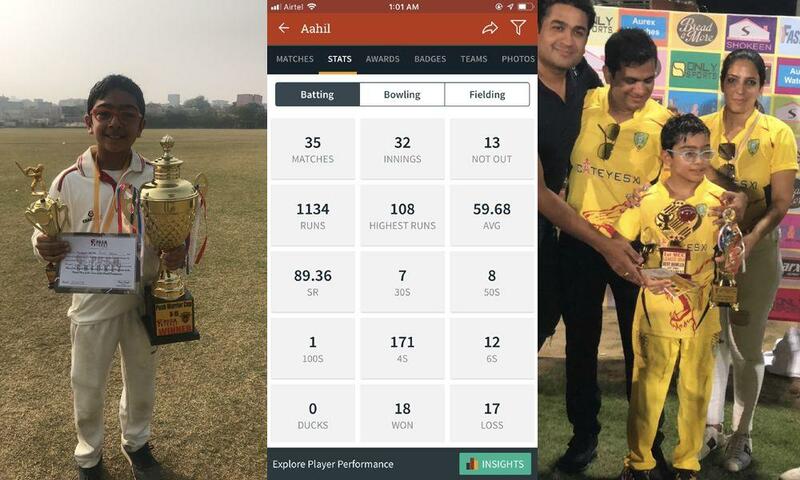 Aahil’s coach pushes through a minimum of 300 balls a day at him while batting; all personally fed. Not to forget, the match experience provided to him by his academy is unparalleled and that is leading to the making of Aahil as a (promising) player." His achievements are not limited to India. The wunderkind has excelled in foreign conditions as well. Aahil was Awarded Man Of the Series & Best Batsman at the at the YTCA Ramada Gulf Cup in Sharjah & Ajman. He finished with a batting average of 218 for the entire YTCA Ramada Gulf Cup 2019. 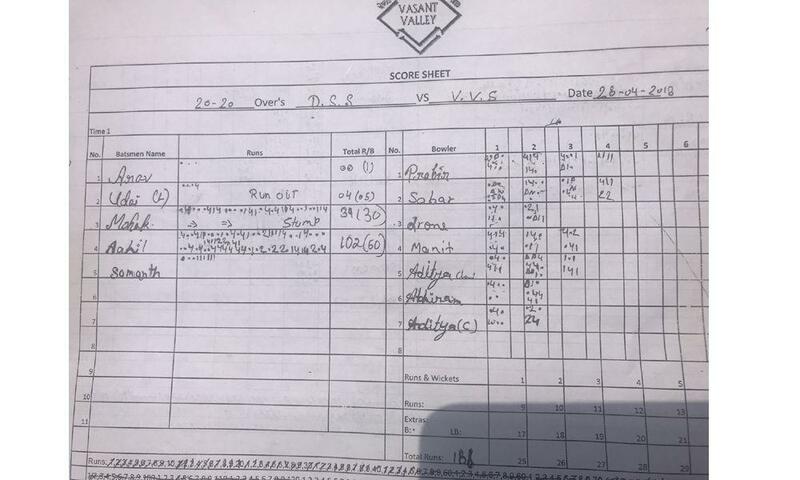 He scored an unbeaten 108* against Victoria Academy in Al Batayih, Ajman of just 58 deliveries. Man of the Tournament, MCC Under 13 & PUSH Gurgaon. He was Awarded Best Bowler of the tournament (Under 14) at the MCC cricket tournament when he bagged 12 wickets in 5 games. Madan Lal (former 1983 World Cup winner) selected Aahil to play against South Africa Under 14’s when he was just 7 (2017). Aahil has been invited to come play in the UK & Australia as well In 2019. He will be going to Queensland at the end of the year and playing in the Under 14 circuit there in December 2019. A few years ago, Virat Kohli was also one of the hundreds of players trying to make a mark in the Delhi cricket circuit. It were the selectors who recognised his potential and backed him, first in the Under 19s and then in the senior men's team. Gifted with immense talent and an encouraging environment, don't be surprised if after a decade or so, you see Aahil as a shining star in the global cricketing arena. We would then proudly say, we told you so.